The Leader of Opposition Mallikarjun Kharge has urged Prime Minister Modi to make public the reports of the Central Vigilance Commission and Justice A K Patnaik in relation to former CBI Director Alok Verma. "The Government should come clean by releasing the CVC Report, the report of Justice Patnaik and minutes of the meeting held on 10th January 2019 so that the public can draw its own conclusion in the matter", he said in the letter. The letter refers to a statement by Justice Patnaik, who was appointed by SC to monitor the CVC probe against Verma, that there was no evidence of corruption against Verma and that the decision of the Committee to remove him was very hasty. 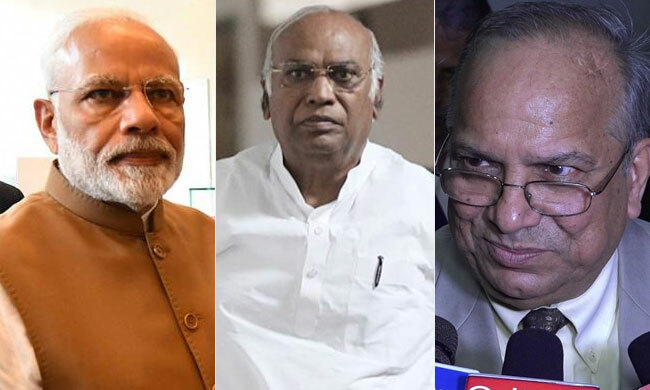 Kharge says that despite his objections, the Committee chose to take its decision on the basis of the CVC report, which has been disowned by Justice Patnaik. He suggests in the letter that the Committee did not independently examine the CVC Report in the light of conclusions by Justice Patnaik. "Such huge embarrassment could have been avoided if the committee had decided to independently examine the report of the CVC, the report of Justice Patnaik, the submissions of Alok Verma in his defence and draw its own conclusions before reaching a decision". "A committee that consists of senior representatives of the Executive, Legislature and Judiciary should not take a decision merely on a report prepared by an outside agency, howsoever competent without vetting that report and applying its own mind". He alleges that no reasoned order was passed against Verma due to the manipulative tactics of the Government, which has caused embarrassment to the judiciary.